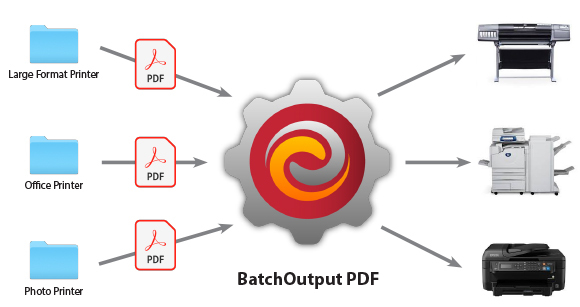 BatchOutput PDF prints PDF files automatically from watched hot folders. Create hot folders for various printing settings, drop your PDFs into hot folders - and the software will do the rest automatically, saving you the time and hassle of printing each PDF manually. Can serve unlimited users by sharing hot folders on a network. Note: You can always upgrade a single-user license to Server.